A disappointing batting performance by the SWD-team in their vital one day clash against the North West Dragons at Senwes Park in Potcefstroom on Sunday was the main reason for their 4 wicket defeat against the defending champions. SWD, who were put in to bat, posted a modest 187/9 in their allotted 50 overs. 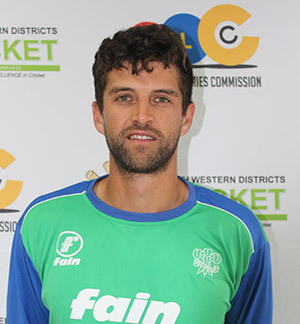 The captain, Obus Pienaar with an unbeaten 83 from 110 balls (3x6, 3x4) did not receive sufficient support from his fellow batters in a disappointing batting display. The home side (190/6) reached the target in the 48th over for a 4 wicket victory.